The long battle over what is to become of the soon-to-be-dissolved Belmont-San Carlos Fire Department may be given some clarity at tonight’s San Carlos City Council meeting. The City of San Carlos has been on a cost cutting rampage in an effort for the city to live within its means. The options presented at tonight’s meeting will all be geared at saving the city money with respect to its fire services. 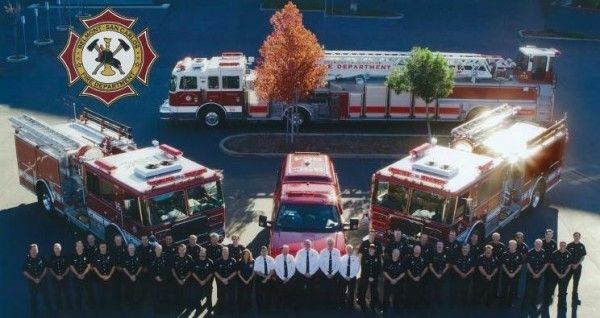 The San Carlos Fire Department. The first option would be for San Carlos to create its own, stand-alone fire department. While this sounds nice in theory, the cost will most likely prove to be too much. Consolidation with the Redwood City Fire Department. The second option, is also the most likely. This option would see the current firefighters blend in with the Redwood City Fire Department and provide regionalized services to San Carlos. Privatization of Services. A third option would allow the city to contract with a third party provider, in this case Wackenhut Corporation. Contracting with Wackenhut would allow for a significant cost savings as well for the city. I think the odds of San Carlos being able to financially support its own fire department is minimal. San Carlos will end up going with one of the other two options. San Carlos will either consolidate with Redwood City or engage a private company such as Wackenhut. The main concern of many between the two is public safety. Whenever you have a corporation involved, the bottom line is what matters. What’s on everyone’s mind is whether engaging a company such as Wackenhut for fire services would be putting the public at risk, especially if there is a possibility to keep our current local fire fighters through consolidation with Redwood City. If the city decides to consolidate its fire department with Redwood City, it has a few options to choose from: the city can choose to use Redwood City’s administrators and fire chief while still employing local firefighters, or contracting the services of local firefighters, or contracting the services of the entire department. Additionally, if you spend any time at all researching fire services in the Bay Area, you will see that consolidation is clearly the wave of the future. There are numerous local cities engaged in a regionalized approach as a method to cut city spending. Consider attending the San Carlos City Council Meeting tonight. 600 Elm Street, San Carlos. 7:00 pm. What idiots the city council members are! I do not want my tax money going to a bunch of crooks. I want our fire dept to merge with Redwood City. time to recall all city council members! No privitazation. Thanks for your comments. I realize this is a very emotional issue for a lot of people, but I do have an issue with calling the city council “idiots”. The bottom line is that these five individuals are not paid and volunteer a tremendous amount of time each week to do what they believe is in the best interest of the city. They have also been asked to guide the city and make difficult financial decisions during what is most likely the most dire circumstances that the city has ever experienced. I certainly do not agree with many of the decisions made by the council, but I do think these five individuals deserve better. For those that feel differently, I would remind everyone that the last city council election saw all prospective members run unopposed. Our city council has a difficult decision to make. I believe regional is the best way to go versus privatization when it comes to emergency services. Private companies are fine for sanitation and other non-emergency services.